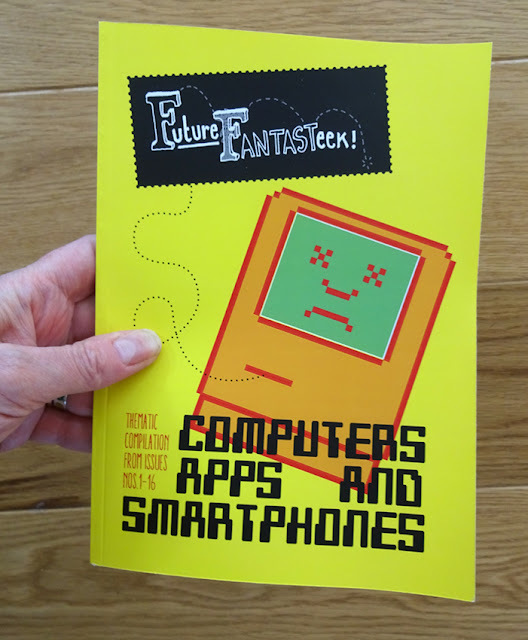 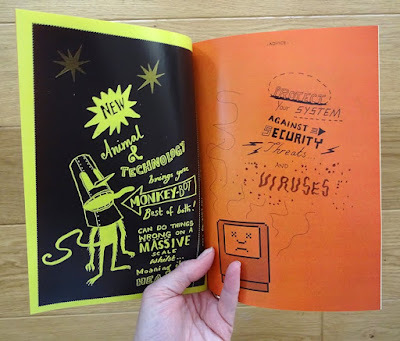 I've put together a thematic compilation, from all the previous issues of Future Fantasteek!, about our relationship with technology. Computers, Apps and Smartphones celebrates our miserable incompetence in the face of computer error messages, incomprehensible alert boxes and smart phone requests about their operating systems - that we simply can't help them with. 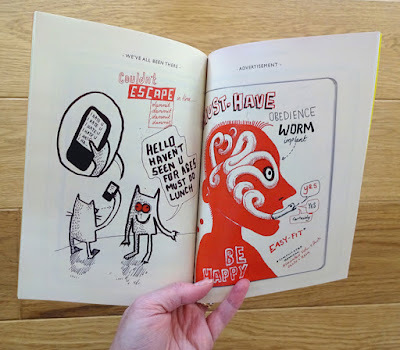 A5 at 66 pages, full colour. email me if you're interesting in ordering a copy.